Former badminton player and current star of the Telugu film industry, Sudheer Babu has been roped in to essay the role of the chief national coach of Indian badminton, Pullela Gopichand in his upcoming biopic. On Gopichand’s 44th birthday, leading business analyst Taran Adarsh announced that the movie will be made bilingual in Hindi and Telugu. Abundantia Entertainment, who has earlier presented ‘Airlift’ and ‘Baby’, will collaborate with Fox Star Studios for this film. Earlier this month, Sudheer Babu himself confirmed that the project is under way and had asked his fans to wait for the official announcement. Sports biopics have been in demand of late. ‘Mary Kom’ and ‘MS Dhoni: The Untold Story’ have both been blockbuster hits and have struck a chord with the masses. This is the second biopic based on badminton whose work has already begun. A film that will portray Saina Nehwal’s life and career, is already being shot with noted Bollywood actress, Shraddha Kapoor playing the lead role. Nehwal has shared lots of snippets from the shooting where she is seen to be teaching Kapoor her strokes. The 38-year-old Sudheer Babu, who is known for his roles in ‘Prema Katha Chitram’ and ‘Baaghi’, was always the first choice to play Gopichand since he has the advantage of seeing the former All England champion from close quarters. The actor has been a former No. 1 player in the states of Andhra Pradesh and Karnataka, besides partnering Gopichand in doubles matches. Having been friends with the Dronacharya of Indian badminton, Babu is expected to flesh out the character well on the screen. 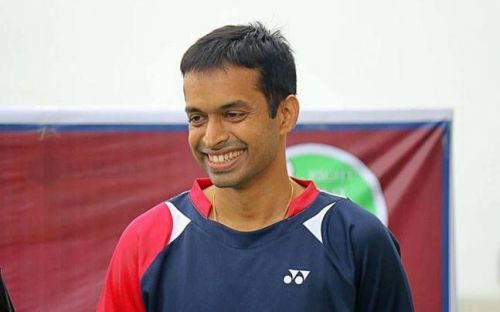 The movie will show how Gopichand overcame adversities to be crowned the All England champion in 2001 following which he turned his attention to coaching and delivered India two Olympic medals. So, the characters of Saina Nehwal, PV Sindhu and Srikanth Kidambi too will definitely find a place in this film. The scripting process of this film is currently under way and shooting commences in mid-2018. Fans can expect more information in the coming few weeks. This will give Indian badminton aficionados a golden opportunity to know the man behind the rise of the sport in the country. It is his undying passion for the game and tiring efforts that have put India where it is now in the global map of badminton. The young fans, who have grown up seeing only Nehwal and Sindhu, are not well acquainted with his story and there could not be a better opportunity than this for them to know him well.